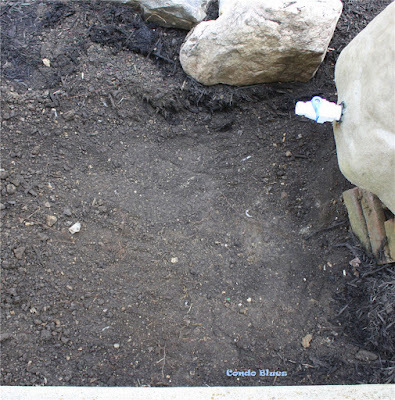 Late summer/early fall is a great time to do garden landscaping projects. 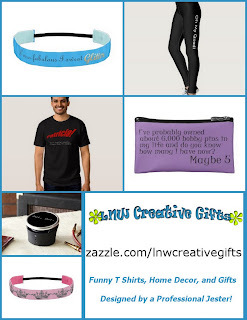 The weather isn’t as blazing hot as it is in the middle of summer and most of the materials are now on clearance to make room for fall and winter merchandise. 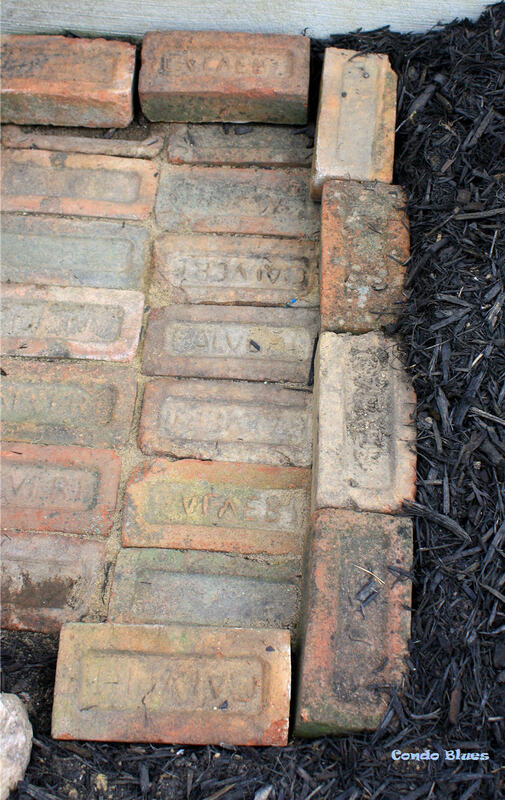 Or in our case, you end up with a bunch of extra bricks from repairing your vintage brick garden border and want to do something with the lovely, worn, and free reclaimed bricks. 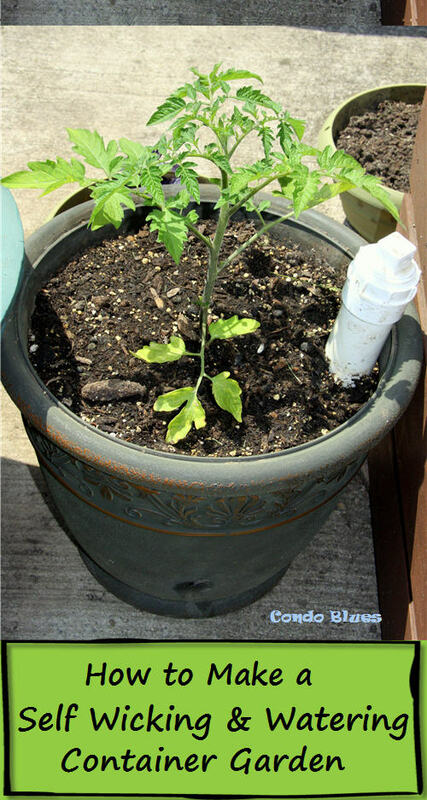 Thanks to two months of never ending rain and me replacing the broken spigot on the rain barrel (read the tutorial here) before the rains came, Husband and I have plenty of water to use for watering our new plantings. 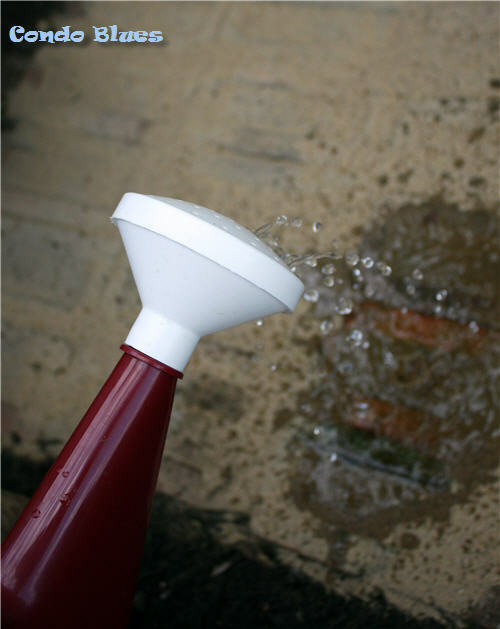 Eco Dork that I am, I get positively giddy watering my plants with rain water but I’m not happy with stepping in the mud that sometimes surrounds the rain barrel spigot. Paver lock sand - This is a Polymeric sand that acts like glue after you wet it. 1. 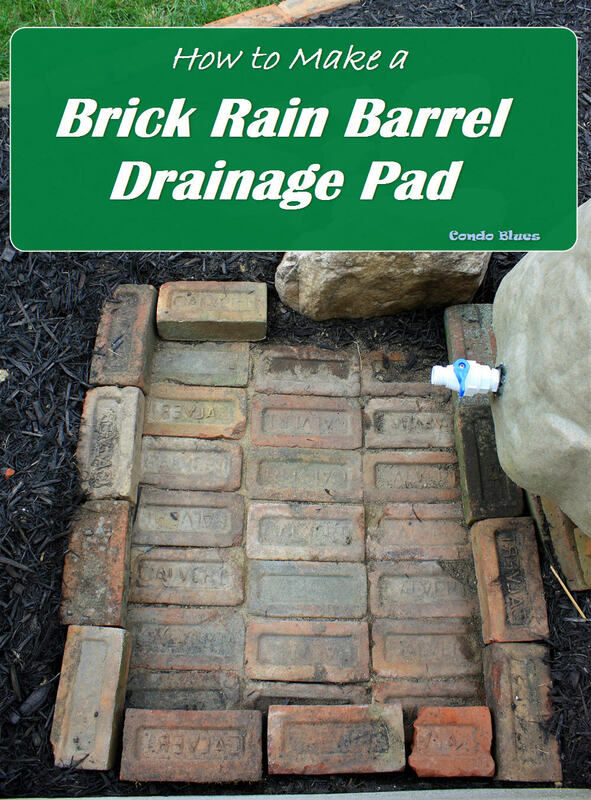 Decide the size and placement of your drainage pad. 2. 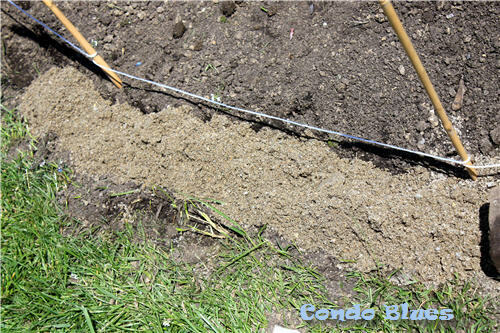 Make a Guide: Place the wood stakes next to the edge of where you want the drainage pad. Tie the twine to the stakes level and at the uniform height you want the finished border. 3. Use the shovel to remove the dirt inside your guide. 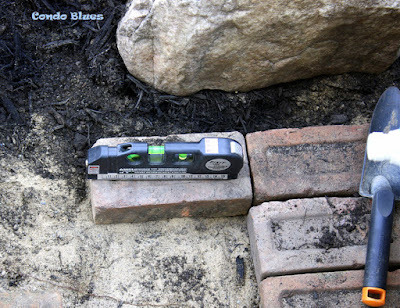 To make sure my bricks will be level with the dirt, I measured the height of my bricks and added a few inches to that measurement to make room for the sand and gravel. 4. Use the level to verify if the area is level. 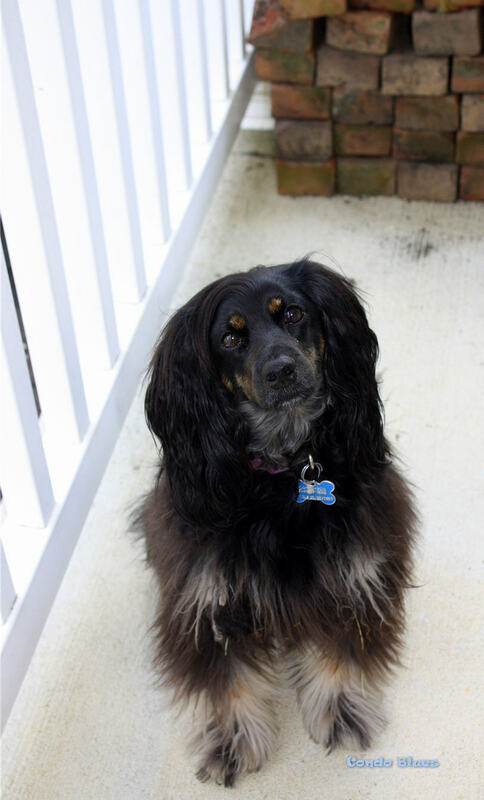 Confer this with your canine Project Manager as needed. Hi everyone. Lacey here. Husband asked me to oversee the project and keep the area free of squirrels and birds so they don't distract Lisa from her work. I made Lisa hit the bricks behind me pretty hard but she still managed to be a slacker on the photos for Steps 4 thought 9. Sorry about that. 5. Compact the soil with the tamper. 6. Place an inch or two of leveling sand in the pad area and spread it evenly with the rake. The leveling land allows the finished brick pad to shift as the ground freezes and thaws in cold weather. 7. Compact the sand with the tamper. 8. Place an inch or two of gravel over the sand and spread it evenly with the rake. The gravel is your drainage especially if you are like me and have clay soil. 9. Place the first row of bricks or stone in the trench according to your guide rope and double check each brick with the level. You made need to wiggle the stone or brick a bit or add or remove a bit of sand underneath the brick if you need to adjust the height and/or make it level. Pretend this is a photo of level brick on a layer of gravel. Lacey saw I got ahead of myself and forgot to put down the gravel layer before I started laying the bricks. I forgot to take a new photo after I removed the bricks and put down the gravel layer. 10. Brush a small amount of paver lock sand in between the bricks in your drainage pad with the push broom. 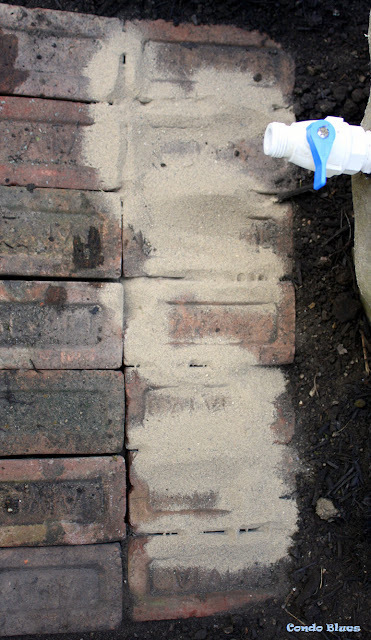 You want just enough paver lock sand in between the bricks to act like “glue” to keep the bricks together but not too much sand that the sand keeps water from draining through the sand to gravel below. 11. Water the seams of the garden border to activate the paver lock sand. You don’t need to completely soak it with the garden hose. Wetting the sand so it is thoroughly damp is fine. 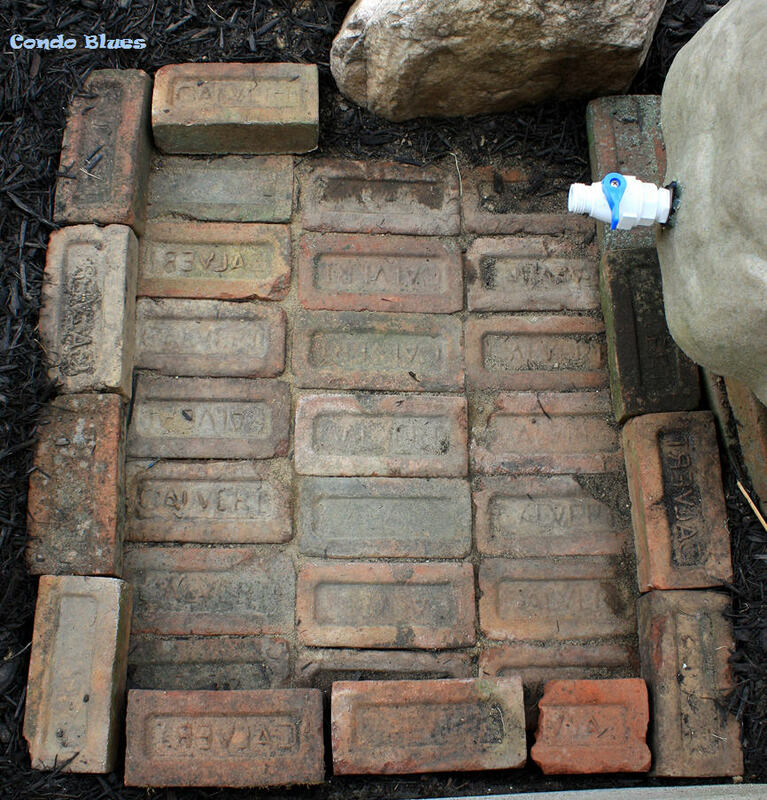 I wet the bricks and sand with a watering can and water from our rain barrel. Why? Because that's the reason why we have a rain barrel! 12. Optional: I added a brick border to my outdoor drain patio to keep mulch from clogging the drainage area. 13. Stand back and admire your work! Ta da! Let it drain! *My little homage to Bob the Builder.